Baraboo Train Yard 1. Engine 1416 with men surrounding it. Roundhouse in background. Baraboo Train Yard 2. Engine 1164 with men around engine. Hunters. 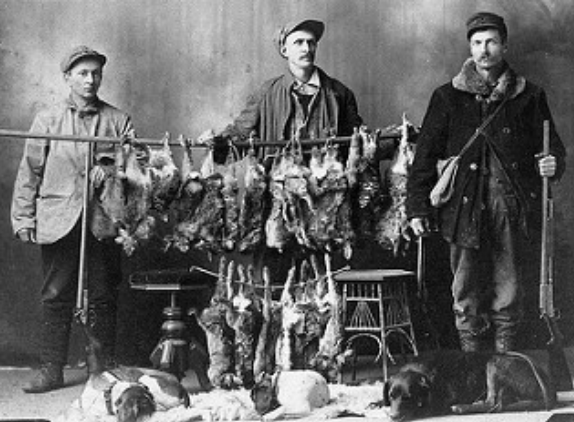 Three men with their catch of rabbits. Woolen mill Ballplayers. Negative. Ca. early 1920's. Shirts read “IWC”, probably Island Woolen Company. Standing in front of main woolen mill office.